This aircraft was designed and built by Mike Huffman during the late 1960s and early 1970s. It featured a welded steel-tube fuselage, aluminum wings and tail boom, and composite tail surfaces. 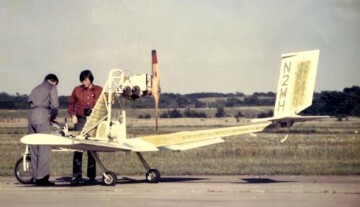 Powered by a McCulloch 72-hp target drone engine, it was essentially an ultralight before the ultralight movement began.